Cynthia Grayce Klaiber Yeager, 63, of North Syracuse, passed away unexpectedly on November 20, 2018. She was born on March 2, 1955 in Philadelphia, PA to the late Dr. James and Margery Klaiber. She is survived by her daughter, Lauryn DePaul (Kristin), and step-children Barbie Yeager (Connor), Danielle Yeager (Brian), and Buddy Yeager (Kaitlyn); grandchildren Brady, Lilly, and Annabelle; sister, Amy Klaiber Place (Jim); and many more relatives and friends. She was predeceased by her husband, Daniel Yeager, in June 2018. 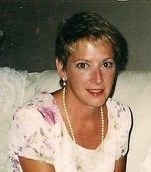 Cindy grew up in Liverpool, NY and received her masters degree in Special Education from Syracuse University. She went on to teach for the Syracuse City School District for a number of years. Cindy especially loved the time spent in the classroom with her students. The time around the holidays was something that Cindy particularly enjoyed. She loved having big celebrations with family and spending time with her loved ones. Throughout her life, Cindy formed deep connections with all types of animals and had many pets that she took under her wing. Later in life, after retiring from Syracuse City School District, Cindy became an avid gardener, growing an array of fruits and vegetables in her garden. In every part of her life, Cindy was a kind, caring, and compassionate woman who will be deeply missed by all those in her life. Visitation will be Thursday, November 29, 2018 from 4-7 PM at New Comer Cremations & Funerals, in North Syracuse, NY. An interment ceremony will be held Saturday, December 1, 2018 at 12:00 PM at the Liverpool Village Cemetery. In lieu of flowers, we ask that you please donate to the aspca.org. To share a memory of Cynthia or leave a special message for the family, please click the Share Memories button above. Add your memories to the guest book of Cynthia Klaiber Yeager. My dear friend Cindy, I will miss our weekly conversations. I wish we could of spent more time together, especially after you lost Dan. I know you were lonely. I kept hoping your physical ailments would get better & we could. Only God had other plans for you. I will always remember our last conversation, & when we said goodbye you told me you loved me, & I replied I love you too. Rest in Peace my friend. David and Lauryn, Tom and I were shocked and saddened to hear of Cindy's passing. I remember us going out together and having so much fun. My daughter, Elaine, often mentions that Cindy taught her how to whistle with the "fingers in the mouth method" that can be very loud. I remember her showing Elaine how to do it at a Chiefs game. She was a dedicated teacher and a wonderful woman. Take comfort in memories and the good times you had together. Rest in peace, Cindy. I wish you peace to bring comfort, courage to face the days ahead, and loving memories to forever hold in your hearts. Cindy was my cousin. In our early years we spent lots of time together and had a special bond. Over the years as life unfolded I would often visit the Klaibers in Liverpool. Our history was much richer; as a child we lived next door to Cindy's grandparents with whom we had a very good relationship. My cousin Margery, Cindy's mother, came to visit and met Jim, Cindy's dad. The rest is history. My interactions with Cindy were wonderful over the years. I made a surprise visit for her wedding to David. It was a wonderful reunion! There are too many memories and too much love for my dear cousin to recount or share here. I'll raise a parting glass of fine Scots whisky to you this evening and mourn your loss to the world we inhabit. I am SO sad tonight. I have fond childhood memories of Cindy. Our fathers served together in the Coast Guard and remained close friends throughout their lives. Although we lived hundreds of miles apart, our families found a way to get together most every summer. While our parents laughed and reminisced, the kids always had a blast. Cindy was our ring leader. She was so friendly, bright, and charismatic. The epitome of fun! I'm so grateful for the time that we spent together. She was a very special person and a wonderful friend. My deepest condolences to Cindy's family and friends. You've lost a real treasure. I wish you peace and comfort. Lauryn Im am so saddened to hear of the passing of your mom. Although I had not seen her in a long time the memories I cherish of her friendship are many. Some of the most fun times I have ever had were with her and Patty Mac. I will keep you and Cindy in my prayers. Cynthia Grayce anytime your name came up in conversation or maybe you just crossed my mind. I couldn't help but get a stupid grin on my face. You have and always will occupy a spot in my head and my heart. That will never change.